RBGE are contributing plant material to a community project celebrating the lives of five 19th century botanists from Angus, including a former principal gardener of the garden here in Edinburgh. 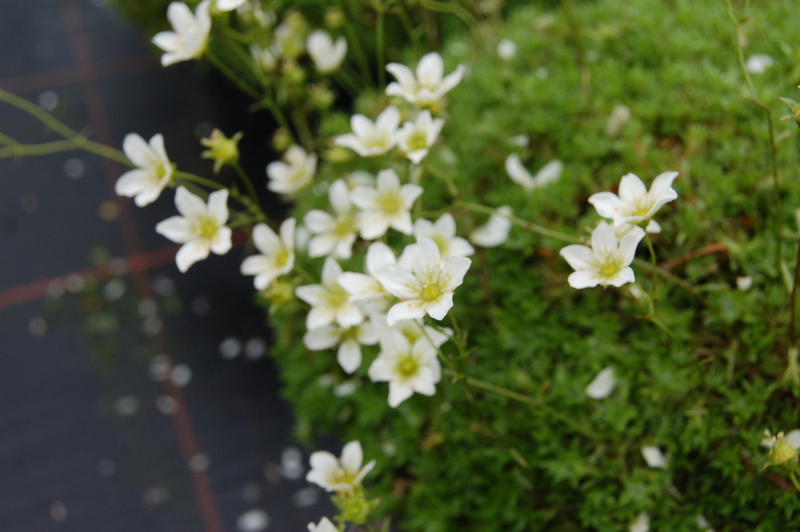 Saxifraga hypnoides from the Angus glens flowering in the nursery at RBGE. The project is very much a horticultural celebration of the plants associated with the five men. 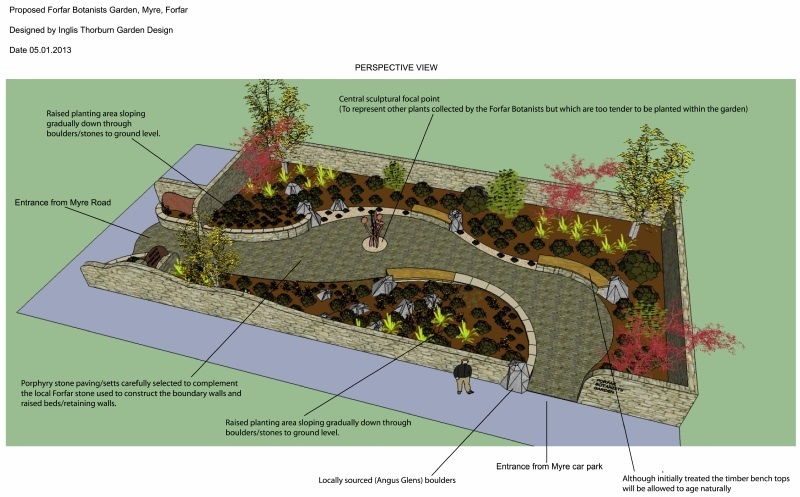 The main focus of the project is a new garden, designed by Inglis Thorburn, in the heart of Forfar. The garden will aim to have plants associated with the men from the countries where they collected or from their published works. There will be plants from Scotland, United States of America, Canada, Nepal and others. The major omission will be the Australian plants which James Drummond collected as these will not survive outside in Scotland. His contribution will be marked by a sculpture of Australian flowers. 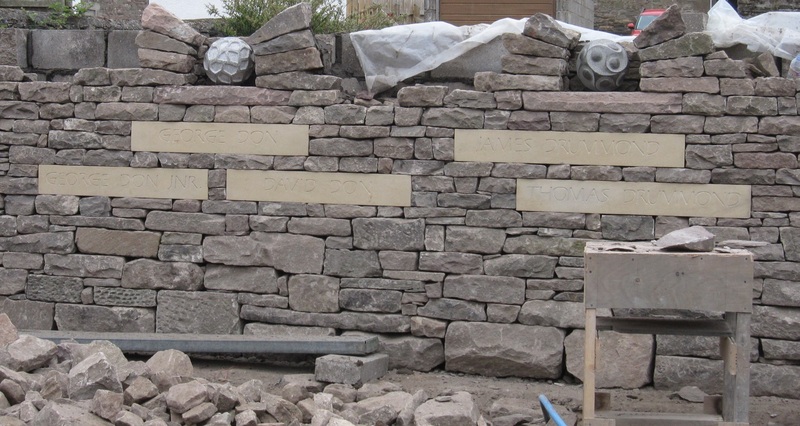 The memorial situated in the Forfar East and Old Churchyard, to George Don (senior) who was the principal gardener at Royal Botanic Garden Edinburgh between 1802-1806 when the garden was at Leith Walk, is being restored and the surrounding area planted with Scottish native plants supplied by RBGE. These Scottish native plants are being cultivated as a requirement of Target 8 of the Global Strategy for Plant Conservation. 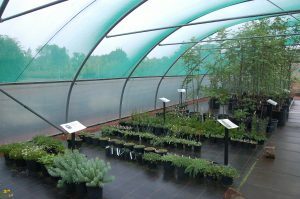 Target 8 requires at least 75% of threatened plant species in ex-situ collections, preferably in the country of origin, and at least 20% available for recovery and restoration programmes. With so much focus on species loss from biodiversity hotspots in distant corners of the globe the Forfar Botanist project has given RBGE the opportunity to highlight the threats facing biodiversity in a Scottish context. Many of the plants destined for the Forfar Garden are only found in one or two places in the Angus Glens, a mere 20miles from Forfar, where they are threatened by their own rarity. With the hard landscaping and construction well underway it is hoped that planting will begin in autumn 2013 for the 250th and 200th anniversaries of George Don’s birth and death respectively in 2014.
www.forfarbotanists.org – for more on the botanists and the progress of the garden. www.inglisthorburndesign.com– who designed the new garden. 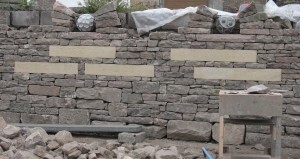 www.dfwilson.co.uk – the dyker and stone artist who has a blog about his part in the project.